1905: O’Callaghan is born near Kanturk, Co. Cork. 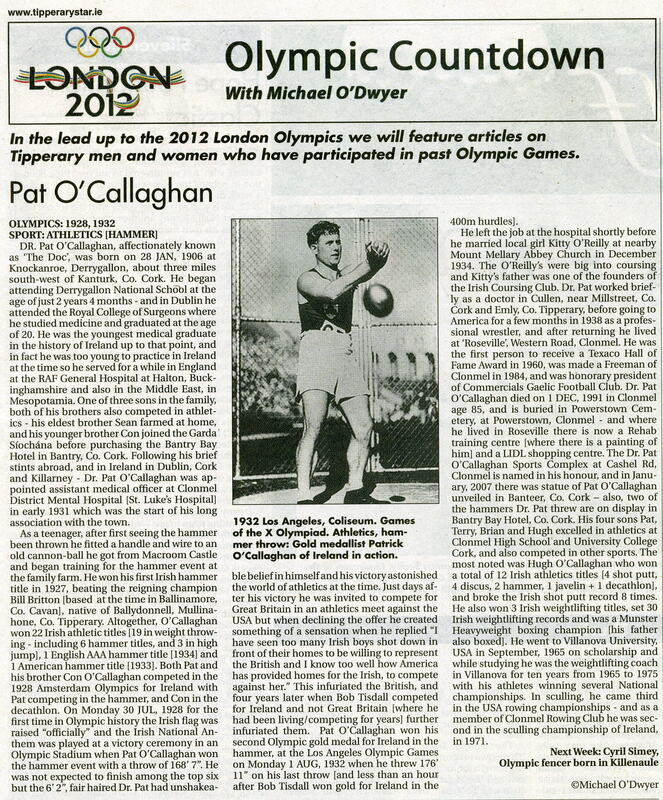 (Other articles reference O’Callaghan’s birth dates as Twenty three years later, Dr. Pat O’Callaghan would become a national hero winning the first ever Olympic gold medal for the Independent Ireland in the Hammer Throw competition at the Amsterdam Olympics. O’Callaghan had to pay his own fare from Ireland to compete! 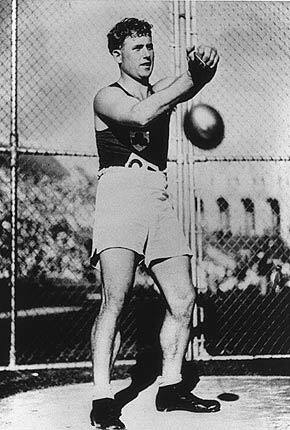 He repeated the gold medal in Los Angeles in 1932. 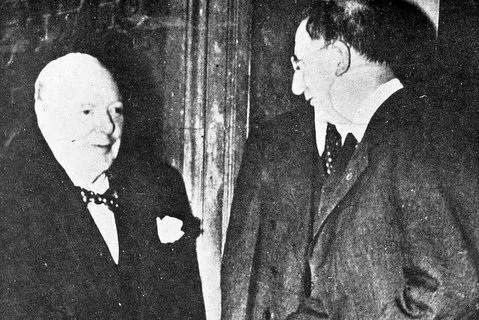 1953: Long time antagonists Eamonn De Valera and Winston Churchill meet for the one and only time at Downing Street.